If you know me well, then you would know that I'm addicted to chewing gum. It relaxes me on a stressful day, or for a fresh mouth after a meal. I would like to thank Marguerite from Glee Gum, for giving me the opportunity to try their product. I have now found a new healthy way to chew gum! The first thing you will notice about Glee Gum is it comes in boxes. It reminds me of the candy I used to get at the corner store when I was younger. The gum is not in stick form. Instead it is small square pieces that you can easily pop into your mouth. There are regular size boxes as well as mini ones that I think are just adorable. You get four pieces in the mini box and about 18 in the regular one. Glee Gum is also an eco-friendly product. Every pack helps to conserve the rainforest. One of the main ingredients is chicle. Chicle is a type of tree sap harvested sustainably from the rainforests of Central America. The chicle helps make it possible to chew the gum longer. The packaging is made of 100% biodegradable recycled cardboard. Plus for every pack of gum that is purchased and registered online, a tree is planted. Glee Gum not only sells gum but they have these great make your own candy kits. You can make your own gum, chocolate or gummie candy. I think the chocolate kit would be fun to play around with. I am happy to say that all natural gum is not bad at all and a great healthy alternative. Glee Gum has sponsored my '12 Days of Christmas Giveaways'! One lucky person will get the opportunity to win their very own package/kit of Glee Gum! "Win your own Glee Gum @kimmie_1980 http://tinyurl.com/38xckpf (12/19) #giveaway"
* This giveaway is available to US readers. * You must leave your email address in each comment OR it should be on your profile in order to win. 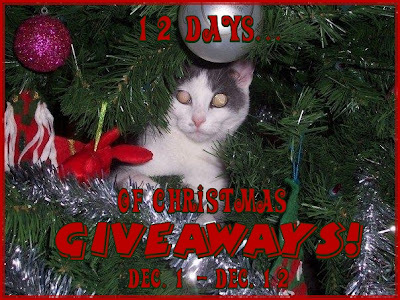 Glee Gum, is sponsoring my '12 Days of Christmas Giveaways' event. I did not receive any compensation or incentive nor was I required to write a positive review. Individual results or experiences may vary. I would like make your own chewing gum kit. like glee gum on facebook.